Ted Kooser is one of Nebraska’s most highly regarded poets and served as the United States Poet Laureate Consultant in Poetry to the Library of Congress from 2004 - 2006. A professor of English at the University of Nebraska-Lincoln, he is the author of eleven full-length collections of poetry, including Delights and Shadows (Copper Canyon Press, 2004) and Weather Central (University of Pittsburgh Press, 1994). Over the years his works have appeared in many periodicals including The Atlantic Monthly, The New Yorker, Poetry, The Hudson Review, The Nation, The American Poetry Review, The Kenyon Review, Prairie Schooner, and Antioch Review. Koosers’ poems are included in textbooks and anthologies used in both secondary schools and college classrooms across the country. He has received two NEA fellowships in poetry, the Pushcart Prize, the Stanley Kunitz Prize, The James Boatwright Prize, and a Merit Award from the Nebraska Arts Council. Kooser has read his poetry for The Academy of American Poets in New York City as well as for many university audiences including those of the University of California at Berkeley, Cornell at Ithaca, Case Western Reserve at Cleveland, The School of the Art Institute in Chicago, and Wesleyan University in Connecticut. He has conducted writing workshops in connection with many of these readings. In addition to poetry, Kooser has written in a variety of forms including plays, fiction, personal essays, and literary criticism. His first book of prose, Local Wonders: Seasons in the Bohemian Alps (University of Nebraska Press, 2002), won the Nebraska Book Award for Nonfiction in 2003 and Third Place in the Barnes & Noble Discover Great New Writers Award in Nonfiction for 2002. The book was chosen as the Best Book Written by a Midwestern Writer for 2002 by Friends of American Writers. It also won the Gold Award for Autobiography in ForeWord Magazine’s Book of the Year Awards. The University of Nebraska Press will publish his newest book The Poetry Home Repair Manual in January 2005. The book will give beginning poets tips for their writing. Currently he is editor and publisher of Windflower Press which specializes in the publication of contemporary poetry. Though mostly inactive now, Windflower published a number of books as well as two literary magazines, The Salt Creek Reader (1967-1975) and The Blue Hotel (1980-1981). The Salt Creek Reader was awarded several grants of support from the National Endowment of the Arts through The Coordination Council of Literary Magazines. 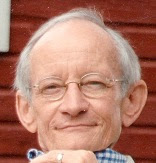 Kooser published several anthologies through Windflower Press. One of these, The Windflower Home Almanac of Poetry, was listed by Library Journal as one of the best books from small presses for 1980. Seventeen Danish Poets in Translation received international notice, and As Far As I Can See; Contemporary Writing of the Middle Plains is in use as a text in secondary schools and colleges across the plains region. In 1999, Kooser published Roy Scheele's Keeping the Horses as a fundraising project for the Nebraska Literary Heritage Association.